Located in a box canyon surrounded by majestic verdant mountains, Telluride is a picturesque community with National Historic Landmark District status. Visitors and locals alike can explore the vibrant art scene, numerous outdoor activities and delectable dining choices. From Colorado flavors to Mediterranean fare, we update our guide to the top ten restaurant in Telluride. Established in 1976 by Jerry Greene, Baked is a local-favourite located in the heart of downtown Telluride, serving a variety of dishes from sweet to savoury. 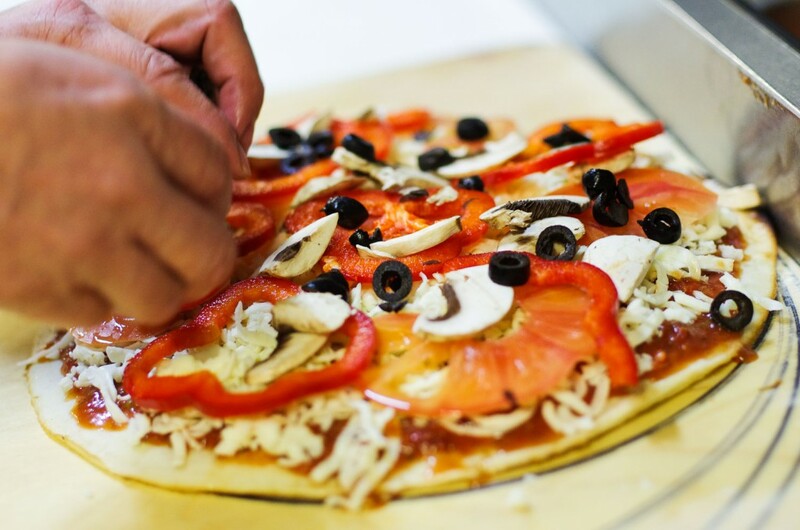 Preparing everything from scratch using quality ingredients, this venue offers guests everything from pastries, pizzas and sandwiches to tacos and speciality meals. With so many choices, the menu is sure to appeal to a wide range of tastes, including families and those seeking meat-free options. Sweet treats of note are the donuts, home-style cookies and chocolate-covered macaroons whilst those craving something savoury can choose between the broccoli cheddar soup, the roasted turkey sandwich and the fish tacos. This friendly eatery also hosts a traditional Thanksgiving dinner every Thursday night to give guests a true flavour of the United States. The flagship restaurant of Telluride Ski Resort, Allred’s specialises in contemporary American cuisine with an emphasis on typical Colorado flavours. Accessible by a gondola ski lift, the location is nothing short of exquisite with breathtaking views over the surrounding mountains. The cuisine is equally impressive with a variety of delectable dishes made with the highest quality ingredients, including organic fare. Diners can savour mouth-watering entrées such as duck breast with a honey-maple glaze accompanied by asparagus, sweet potato carnaroli risotto and fois gras duck jus, whilst vegans can choose the Tamari-marinated tofu and grilled vegetable kababs. Complete with a cosy bar, the restaurant also offers numerous fine wines and handcrafted libations. Open exclusively during the winter season, Alpino Vino is a true mountainside classic, specialising in Italian cuisine. Resembling a cosy European hütte, this high-altitude (3,647 metres) eatery is only accessible by snow-coach and offers guests unparalleled views of the Wilson Range. During the afternoon, it is the perfect retreat for weary skiers wishing to relax and enjoy a glass of wine with some savoury nibbles, including antipasto with cheese, meats, dried fruit, nuts and fresh bread. During the evening, the eatery then turns into a sophisticated 21-years-old-and-over venue where true gourmets can feast upon a five-course menu within a warm and inviting environment. Named in homage to the owner’s chocolate Labrador retrievers, Brown Dog Pizza is a family-friendly pizza parlour specialising in tasty pies that will suit even the most discerning pizza-lover. A fun atmosphere dotted with sports memorabilia, this eatery features Detroit-style pizza, square in shape with a thick crust that is soft in the centre and crunchy on the outside. Procuring the best quality ingredients in the region, a delicious highlight is the 313 specialty pie. Indeed, the 313 won 1st Place in the 2013 International Pizza Challenge Pan Division, topped with ricotta, garlic, salami, Calabria red chilli peppers, basil, arugula, Parmigiano-Reggiano and drizzled with extra-virgin olive oil. Diners can also create their own pizza – Detroit-style or American – or sample other entrées, such as burgers and sandwiches. Serving breakfast, lunch, and dinner, Palmyra features regional American cuisine in an environment that maintains a casual ambience by day and transforms into a fine-dining establishment by night. Sourcing quality ingredients – including free-range meats, sustainable seafood, and organic produce – the culinary team create seasonal fare that constantly evolves. With stunning views of the San Juan Mountains, guests can feast upon mouth-watering house-classics such as the cheddar elk sausage and the Rosen Colorado lamb, the latter a 48-hour braised shank. Palmyra also feature a comprehensive wine list that includes organic wines from Colorado. Nestled inside the Hotel Madeline, Rev is a farm-to-table establishment providing guests with delicious ‘Colorado Chic Cuisine.’ Utilising the freshest seasonal ingredients – including Colorado meats from local purveyors – the culinary team creates several delectable dishes that will satisfy everyone from meat-eaters to vegetarians. While the menus change frequently, guests can reliably expect to find a range of appetisers, salads, soups, entrées and delicious desserts on the evening menu. Past highlights have included hand-torn pasta with creamy vegetables, wild fiddleheads, pickled ramps and 5-year maple sherry vinegar and the Alsatian chicken served with farro risotto, sweet peas, jus roti and kale pesto. They also offer breakfast daily, which includes sweet and savoury dishes plus many vegetarian and gluten-free options. Established in 2013 by Jeff Badger, Siam’s Talay Grille is a relaxing establishment specialising in contemporary Asian tapas with an emphasis on perfectly prepared seafood. Part of the Inn at Lost Creek, this eatery provides guests with a warm and inviting environment complete with metal, stone and brushed wood décor, rustically complementing the incredible mountain views. The menu often changes to reflect the freshest produce and versatility of the chefs, but past highlights have included steamed buns with either shiitake mushrooms and red wine or sautéed lobster and sherry. For something a little different, try the Thai shepherd’s pie with Panang curried beef, carrots, cilantro, ginger, sweet corn and Frangelico parsnips. This restaurant also features a breakfast buffet infused with Southwest and Asian flavours. Opened in 2010 by Andrew Tyler, There… is a friendly night-time venue locally considered to be fantastic for social gatherings. There…offers delicious New American cuisine with Asian influences alongside creative handcrafted drinks, all served within a warm and inviting space complete with a pressed tin ceiling and handmade barstools. This eclectic restaurant and bar features a delicious array of small bites, sharing plates and other tasty options. The menu, which resembles a page from a comic book, changes with the seasons, but guests can reliably find a variety of tostadas, steamed buns, ramen, and various entrées, such as the pan-seared scallops with house-made pickles, yuzu, red cinnamon onion and white ginger. A coffee shop by day and art and music venue by night, The Steaming Bean offers gourmet coffee, sweet treats, savoury edibles and tasty cocktails served within a lively atmosphere. During the day, diners can linger over a steaming cup of organic coffee from local roasters and enjoy tasty breakfast items including waffles, breakfast bagels and burritos. As the sun sets, guests can enjoy a host of live musical performances – including DJs, karaoke night and art events – and sip on a tasty line-up of cocktails, wine, beer and liqueurs. Highlights include the ‘Moscow Mule’ made with Colorado-distilled Goat vodka, Goslings ginger beer and the café corretto, compiled from espresso and grappa. Established in 2013 by Chef Johnny Gerona, The Village Table is a charming eatery showcasing healthy fare influenced by the flavours of the Mediterranean. An inviting environment complete with a colourful and cheerful interior, this family-friendly restaurant welcomes diners for lunch, tapas, or dinner. The lunch menu offers tasty sandwiches, soups and salads whilst the tapas menu features an array of traditional and specialty small bites, including patatas bravas and grilled artichoke hearts with aioli. For dinner, guests can enjoy fresh seafood paella with saffron calaspara rice, roasted bell peppers, artichoke hearts, peas, haricot verts and vegetable sofrito.